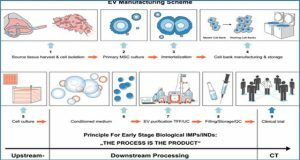 Current analysis of exosomes focuses primarily on bulk analysis, where exosome-to-exosome variability cannot be assessed. 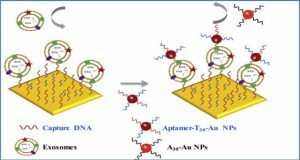 In this study, researchers from the University of California Davis used Raman spectroscopy to study the chemical composition of single exosomes. They measured spectra of individual exosomes from 8 cell lines. Cell-line-averaged spectra varied considerably, reflecting the variation in total exosomal protein, lipid, genetic, and cytosolic content. 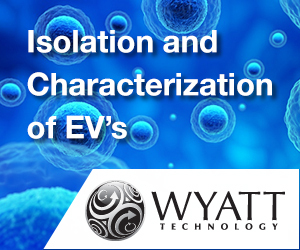 Unexpectedly, single exosomes isolated from the same cell type also exhibited high spectral variability. 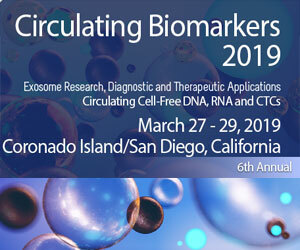 Subsequent spectral analysis revealed clustering of single exosomes into 4 distinct groups that were not cell-line specific. 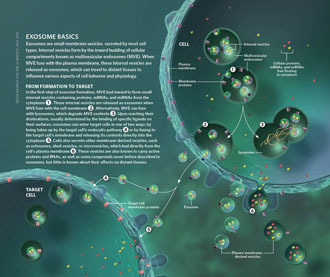 Each group contained exosomes from multiple cell lines, and most cell lines had exosomes in multiple groups. 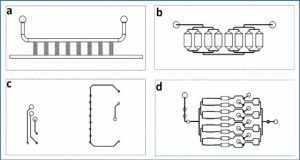 The differences between these groups are related to chemical differences primarily due to differing membrane composition. 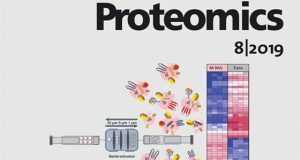 Through a principal components analysis, the researchers identified that the major sources of spectral variation among the exosomes were in cholesterol content, relative expression of phospholipids to cholesterol, and surface protein expression. 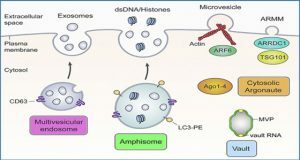 For example, exosomes derived from cancerous versus non-cancerous cell lines can be largely separated based on their relative expression of cholesterol and phospholipids. 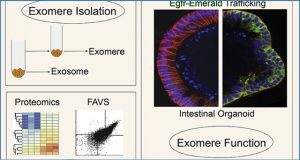 This is the first indication that exosome subpopulations are shared among cell types, suggesting distributed exosome functionality. 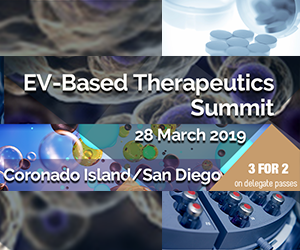 The origins of these differences are likely related to the specific role of extracellular vesicle subpopulations in both normal cell function and carcinogenesis, and they may provide diagnostic potential at the single exosome level. 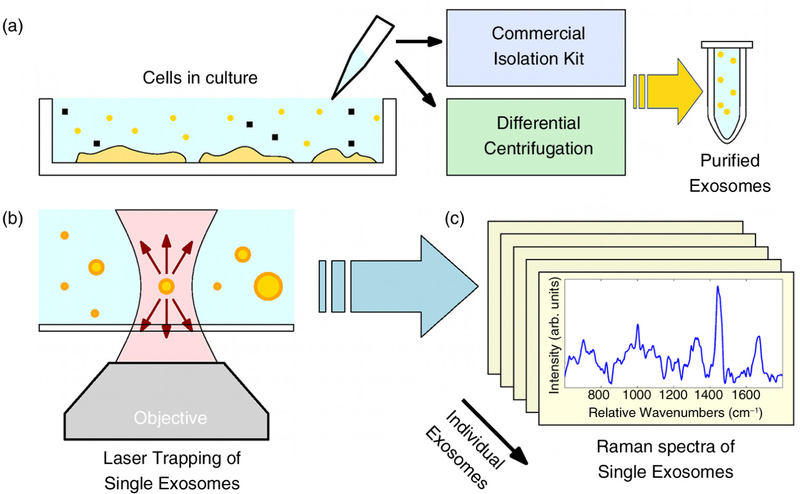 Schematic diagram of exosome isolation and measurement of single-exosome Raman spectra. 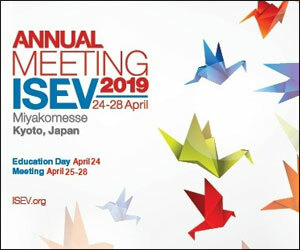 (a) Media from cultured cells are purified using a commercial isolation kit or differential centrifugation; (b) purified exosomes are trapped in the laser beam of a home-built microscope system, and Raman spectra are collected, yielding (c) a database of spectra of single exosomes.